FIRST Lady Esther Lungu confers with Arthur Davison Children’s Hospital senior resident medical officer Mwaka Mubita (left) when she toured stands during the hospital’s open day in Ndola recently. THE Arthur Davison Children’s Hospital (ADH) in Ndola is one of its kind in Zambia. It is the only third level health institution offering specialised healthcare services to children. The plan to build a children’s hospital was mooted during the pre-independence era. The children’s hospital was founded in 1963 after an ex-servicemen donated the land through Mr Arthur Davison at a place where his castle stood. The healthcare facility only started offering services to the public in 1966. With time, ADH has gained recognition for its specialised services to the children and with growing demand from clients, has come demand for better services and bigger infrastructure. Since inception, ADH has had a 250-bed capacity against the ever increasing population and demand for healthcare services. Children needing specialised healthcare rely on ADH for medical relief, yet the institution is experiencing challenges common to most public healthcare facilities. Although Government intends to expand the hospital structures and increase bed capacity to 1, 500, private sector participation in the day-to-day running of the children’s hospital is still crucial. As the health institution expands, the need for complimentary support such as the provision of equipment equally becomes critical. That is why in its effort to enhance private sector and community participation, the ADH management decided to host an open day every year. The Esther Lungu Foundation Trust and other non-governmental organisations (NGO) were among the institutions that responded to the call for assistance at this year’s event. The foundation rekindled the hope of ADH in terms of private sector collaboration at this year’s open day. By her mere gesture of accepting to be part of the event, First Lady Esther Lungu made an impact on the outcome of the annual event. During the event, the First Lady took time to interact with the children, much to their delight. Through poems, songs and cultural performances, the children eulogised Mrs Lungu for her passion towards children. The First Lady is the patron of the Esther Lungu Foundation. Only founded last year, the Esther Lungu Foundation Trust has earned a reputation locally and internationally through its various charitable activities. The organisation is known for championing the rights of the needy in society and creating partnerships with vulnerable groups in different parts of the country. Its participation in the ADH open day aimed at soliciting donor support to the institution in its campaign for quality specialised healthcare to the children, raised the bar for the annual event. This year’s ADH’s open day saw the private sector on the Copperbelt Province and the Esther Lungu Foundation Trust join hands to raise funds, source and secure equipment and building materials, which were handed over to the hospital. 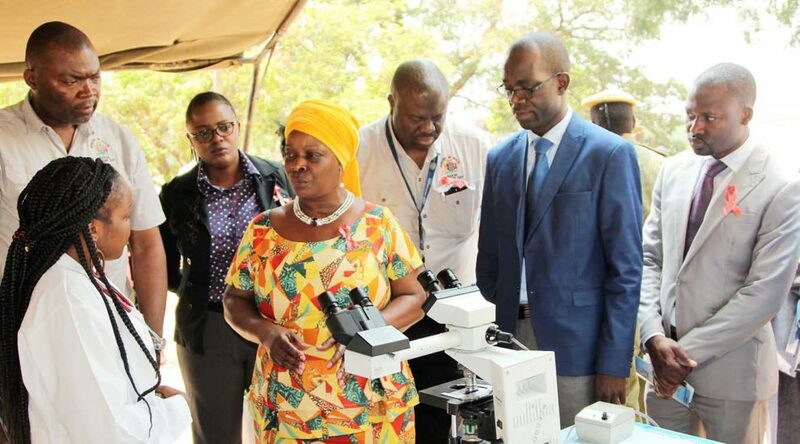 Apart from wooing private firms that donated equipment to the hospital, the Esther Lungu Foundation Trust donated 10 plasma television sets, 130 blankets and linen, cooking oil, mealie meal and other necessities to alleviate shortfalls at the facility. 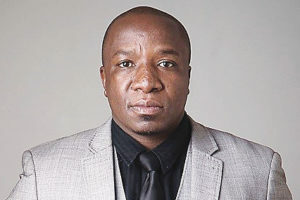 The hospital’a senior medical Superintendent Jonathan Mwansa said some of the challenges the health facility is facing are lack of specialised equipment such as the computerised tomography (CT) scan and a bronchoscope. A bronchoscope is an equipment which helps doctors remove foreign matter from the airway system of a child. For instance, when a child swallows a coin, the medical personnel need to use a bronchoscope to locate where the foreign body is lodged in the airway system. ADH has been in dire need of a bronchoscope machine, a 4-D ultra sound scanner and an incubator resuscitator. But in collaboration with the Esther Lungu Foundation Trust, the equipment was handed over to the hospital courtesy of Dalbit Petroleum Zambia, an international petroleum firm. The organisation presented a bronchoscope and other equipment to the hospital during the event. Dalbit Petroleum Zambia director Margaret Mbaka said the hospital needs strong collaboration with the community to develop lasting relationships that will help solve health challenges facing families. And Dr Mwansa lauded the petroleum firm’s gesture. “We wholeheartedly believe that the Arthur Davison Children’s Hospital [that] we dream of, will be achieved through our collective efforts. This gesture by Dalbit Petroleum is a testimony of their belief that we can secure a better future for all by joining hands to bring world class medical care closer to the communities,” he said. Other donations came from Bayport Financial Services who gave building materials, Standard Chartered Bank with K70, 000 cash, Kafubu Water and Sewerage Company K15, 000, while Absolute Gentleman, a regular donor to ADH that handed over four wheelchairs for children. The coming on board of the Esther Lungu Foundation Trust and other organisations to help ADH provide quality health services to the children, bears testimony that healthcare provision is everyone’s responsibility. “Issues of health deserve sympathy. In my last visit to the United States of America, my foundation managed to establish international collaboration and sustainable partnerships with the Colorado Children’s Hospital and UTH Children’s Hospital. I wish to state that we shall look for such partnerships for this hospital as well,” Mrs Lungu said.